One of the most anticipated and fun events of the year is just around the corner! Get ready for great cuisine, surf, yoga, beach, luxury and much more… You simply can’t miss it! 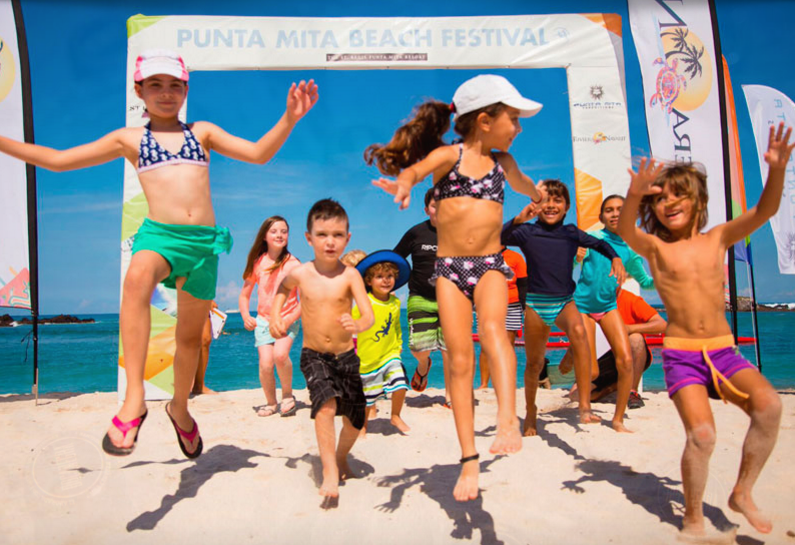 The IV Punta Mita Beach Festival is set for July 7-10, 2016 at The St. Regis Punta Mita Resort. This event embodies everything Punta Mita—the Riviera Nayarit’s Glamour Peninsula—represents. It’s an adventure weekend that promises unique experiences steered by experts. Ana Paula, founder and director of the Instituto Mexicano de Yoga, is a certified Kundalini Yoga instructor and one of the most active proponents of this discipline, creating and participating in myriad events; she is also the author of several yoga books. Professional surfer, Ramón Navarro, is a native of Chile and one of the few who can boast a perfect score in his sport—according to the experts, he’s also ridden one of the best barrels of all times. Ryan Helm, surfer and professional paddler from the US, is, among other things, the technical director who headed the Mexico team during the last Stand UP Paddle & Paddleboard World Championships held in Sayulita. Javier Álvarez, another professional paddler and surfer, is a Mexican athlete of the highest caliber who will share his experience with those present. And there won’t be any talent lacking in the kitchen, either, as there are three extraordinary chefs confirmed for the event: Manuel Peruyero, recently named Executive Chef at The St. Regis Punta Mita Resort; Erick Ramos, currently Head Chef at the same hotel’s Sea Breeze Restaurant; and Chef Alexandre Branch, who has a long career in international cuisine. For all the details, click: http://eventospuntamita.com/beachfestival/es/.